Hi loves, I am so excited to share with you guys the newest collection by Mirabella Beauty. These goodies are part of the Lighten Up collection for Spring 2016. The colors of this collection is incredible. This collection contains one lipstick, one highlighter and three eyeshadows. 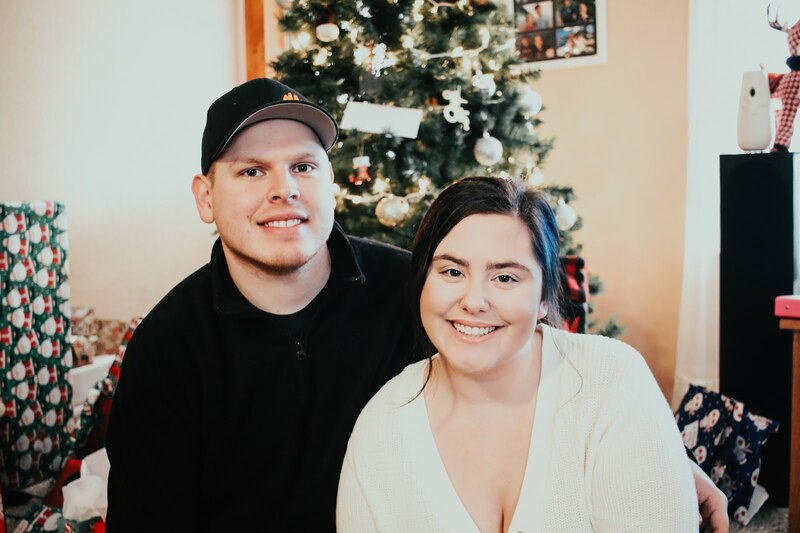 I have received products from Mirabella before and I really enjoy the products. So I was excited to try out some fun colors for Spring. Brilliant Glowing Coral Highlighter: I was so excited about this product because the color just screams Spring. It is a beautiful coral/orange highlighter. Since I do have more of a fair complexion, this product could work as a blush as well. I like to apply this on top of a blush to add some shimmer, but because of the shade, it doesn't work as a actual highlighter for me. But I think on deeper skin tone it would look beautiful as a highlight. 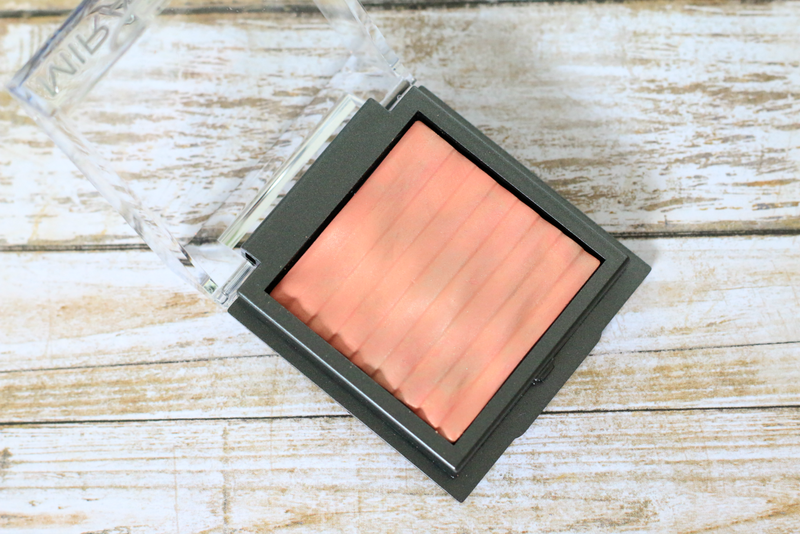 But I do enjoy using this a blush topper. 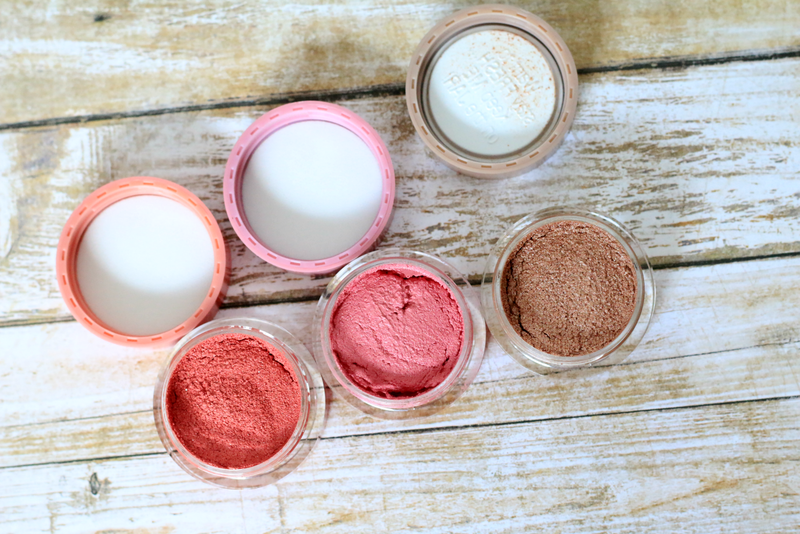 The product is very pigmented and blends out really easily as well. This product can be purchased at www.mirabellabeauty.com and retails for $40.00. Visionary Long Wear Eyeshadows: This collection comes with three Visionary Long Wear Eyeshadows. 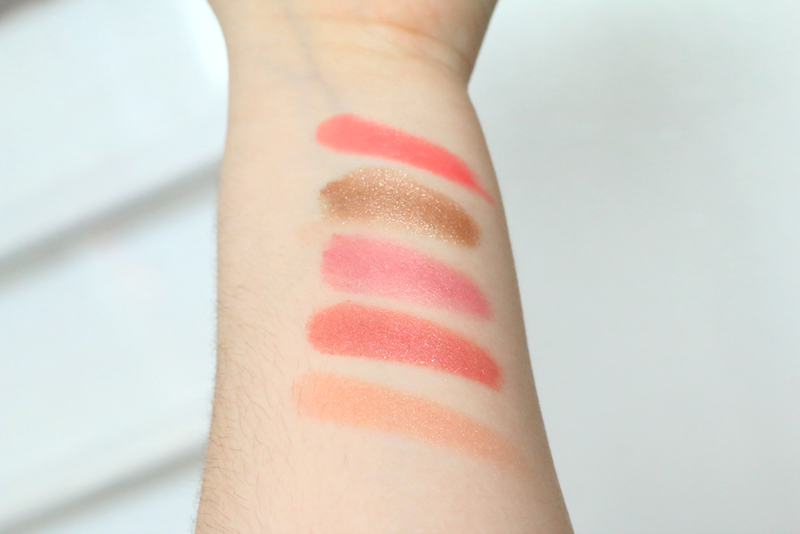 They come in Vivid which is a coral/pink with hints of glitter, Charmed which is a mid tone pink with hints of shimmer and Imagine which is a beautiful taupe with shimmer. These shadows have such a strange texture. It feels like you are sticking your finger into a mousse. It is very sponge like, and creamy. I do not own any shadows that have this type of texture. They do apply easily and blend nicely. I use my finger to apply these all of my lid. I think the shades are very fun for Spring and Summer. 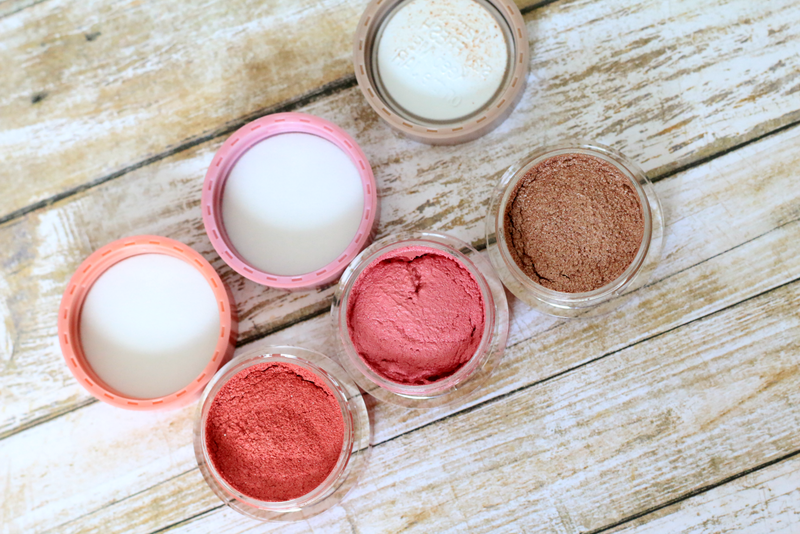 You could even use the pink and coral shade as a cream blush if you had wanted, but I usually do not like glitter all of my face, but if you don't mind the extra glitter, you could totally use it for that as well. They are also very long wearing, so they will stay put all day long. You can purchase these at www.mirabellabeauty.com and they retail for $29.00 each. Balmy Nectar Colour Vinyl Lipstick: This lipstick is the PERFECT shade for Spring. It is a bright beautiful coral. It is very opaque and the finish is almost a glossy finish. So even though it's a lipstick, it kind of looks like you are wearing a lip gloss. I am obsessed with this color and it will be my go-to for the Spring and Summer. 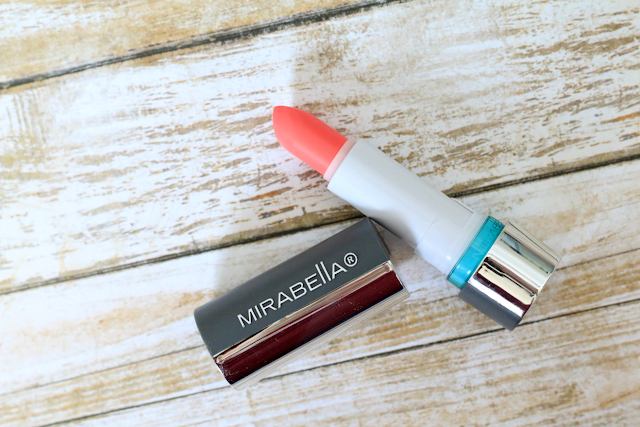 You can purchase this lipstick at www.mirabellabeauty.com and it retails for $26.00. 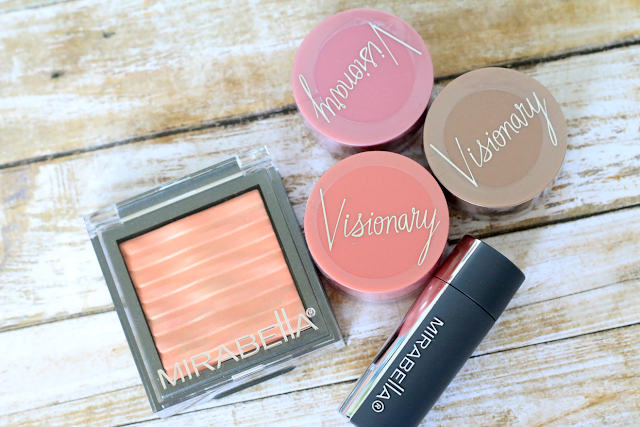 I am in love with this collection and these products just get me so excited for Spring and the warm weather!